CIRCLEVILLE, OHIO – Three friends formed a search party on Sunday, February 3rd 2019 to look for a homeless friend that was reported missing on January 25th. 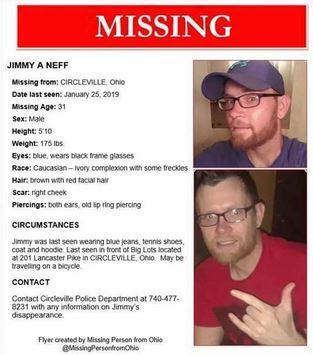 Dylan Hemn, Jon Radcliff, and Torain Lowe assembled on Sunday to look for their friend, Jimmy Neff, who was last seen at the Big Lots department store on Lancaster Pike in Circleville where his bike was left. Prior attempts to form the search team fell victim to the snow and inclement weather in the wake of the Polar Vortex, which may have a played its part in ending the life of Neff. Circleville Police had also conducted sweeps of the area as well, turning up no information on the missing victim. 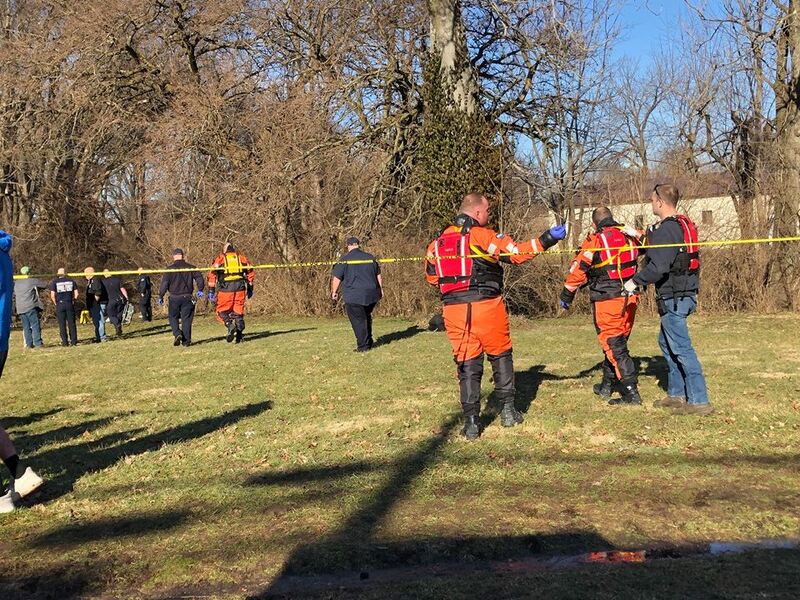 The search team began at the last known whereabouts of Jimmy Neff near Odd Lots, and continued the search underneath the Lancaster Pike Bridge, through the underbrush of the creek until an object was spotted in the creek itself. Binoculars were used to search the deep waters and law enforcement was contacted when a shoe was sighted along with the object, which was identified as Mr. Neff. 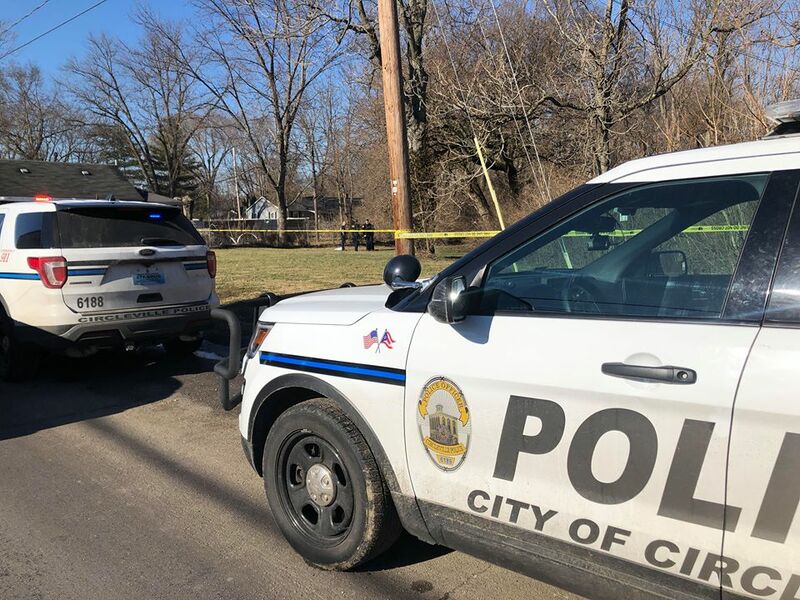 The body of Neff was discovered near Hargus Creek which flows parallel to Watt Street, underneath an old bridge in the 400 block of Watt Street. 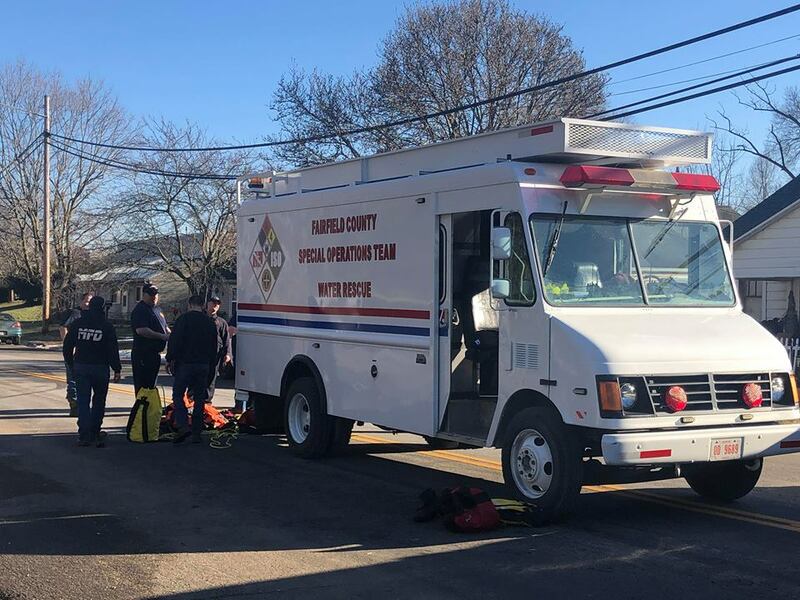 The body was submerged in the cold waters of the creek, requiring a Fairfield Dive Team to retrieve the body. A formal autopsy of Mr. Neff will be performed to determine the cause of death. We will update our readers on this story as more information comes in. I’m confused on why he left his bike and jacket it doesn’t make sense,! Sounds like foul play to me….